/Planners /Can I select a different cover option? 1. Hard Cover – This is the most durable option. A big thick cover will house your planning for a long time. This is also the biggest, heaviest, and thickest option. If you have size concerns, these can get big. Only the outside parts of the covers can be printed on. This is our recommendation for most purposes. 2. Soft Cover – Allows the cover to be printed front and back, so more room for mementos, phrases and photos. A bit lighter, but trades that for overall durability. Available in either a thick Laminate cover, or a Synthetic cover featuring an additional frosted cover over it. 3. Binder – Allows your planner to fulfill many purposes, and be reused quite easily. The same quality of paper comes inside, just 3 hole punched instead. 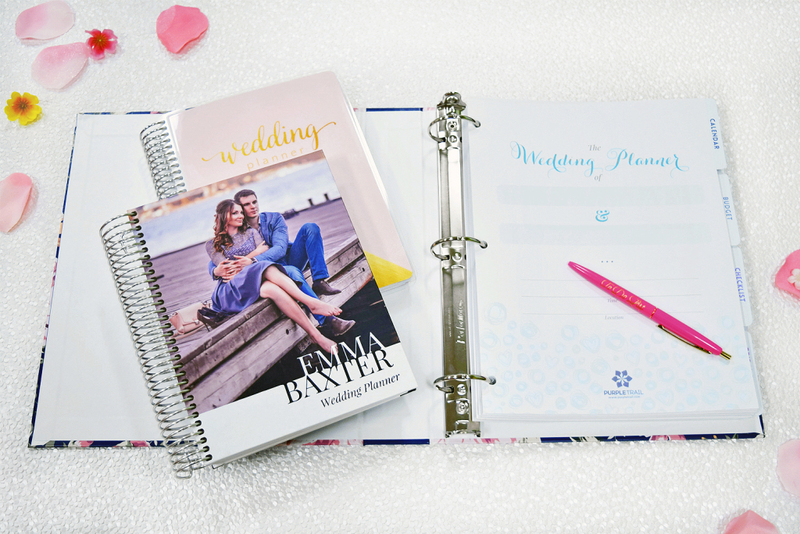 This is not readily available on our site, but any 3 ring can be made into a planner. If you wish to go this route, check out the 3 ring binders on the site, and design one of those as your cover. They are formatted differently from a typical planner cover, and need to be designed accordingly.